May 16, 2017 -- Negotiating a suitable dental office lease is an essential process that affects the overall value of your dental practice. Failure to negotiate your dental office lease, or a misunderstanding of key provisions, can place unwanted restrictions on your cash flow and your freedom to build out your business. A lease sets out your rent, responsibility for upgrades, and freedom to reassign the space in the event of a sale or relocation. As a dentist, you have significant bargaining power whether you are renewing a lease or entering into a new relationship with a landlord. You do not have to accept the terms as presented, nor should you assume the landlord's broker is acting in your best interest. Work with your own representative and learn about what certain clauses mean for your practice. In this article, I've defined and examined 10 important words or phrases you'll see in your office lease. Part two will detail the different kinds of leases and rent. The term is the length of the lease. Generally speaking, you'll want to negotiate a dental office lease term of between five and 15 years. You'll also want to include an option to renew (see the next point). This is sometimes known as the renewal clause. To get an acceptable term, start with a base term and request options to renew. There are three major types of leases: single, double, and triple net leases, which will be discussed in part two. In my experience, it is crucial to make sure you understand what expenses you will be responsible for under your lease. As you know, this is the regular payment to be made to the landlord for use of the space. Many dentists make the mistake of not looking at comps of other dental office leases in the area. When signing a long-term lease, it is not uncommon to request that the landlord provide tenant improvements. An assignment of a lease is a complete transfer of the right to be the tenant under the lease. Your lease can be an asset; therefore, request the right to assign the lease in the event that you wish to sell your practice. Many landlords will require a personal guarantee of the lease. I suggest to my clients to try to negotiate the duration of the personal guarantee. This means that if the building your office is in is going to be sold, the owner has to give you an option to purchase the building. Owning the real estate where your dental office is located is a huge benefit. Try to negotiate a right of first refusal in the event the landlord wishes to sell. You'd be surprised how many practice owners do not consider this. Patients need to be able to find your practice. Thus, negotiate signage and make sure it is in writing in the lease. As a dentist, you will use certain hazardous materials that are not common in most everyday commercial leases. Make sure your lease allows for their use. As with any business contract, there are a number of potential terms in a dental office to be considered. Specifically, review with care any sections that restrict your freedom or impose obligations. A prohibition on subleasing could prevent you from inviting a specialized dentist into your practice, for example. At the same time, you should try to include clauses that explicitly protect your interest. Build-out provisions may get you reduced rent during construction. A grace period for payment of rent can prevent the termination of the agreement in the event of unexpected mishaps. You can also inquire with other landlords to see what deals they are willing to offer. This will create competition for your tenancy and strengthen your negotiating position. Negotiating a lease is the beginning of a long-term relationship with a landlord. The landlord's goodwill may be essential for the successful growth of your practice. To safeguard the best interests of your business, stay informed about your options. If you need assistance about any aspects of your dental office lease, contact a dental lawyer. The second part of this series will look at different types of office leases. It is scheduled for Tuesday, May 23. 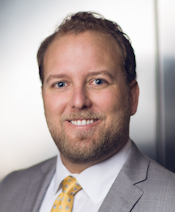 Attorney Matthew Odgers, JD, is the owner and founder of Odgers Law Group, a firm based in San Diego. He can be reached by email at matthew@odgerslegal.com.